Riviera Beach, FL (November 15, 2017) – On Saturday, November 25, 2017, the Riviera Beach Community Redevelopment Agency (RBCRA) will celebrate local small businesses during Small Business Saturday®, a national effort created by American Express to support local businesses that make our communities strong. The goal is to help bring more holiday shopping to small businesses on the Saturday after Thanksgiving. The initiative encourages customers to support small businesses by shopping at their locations and spreading the word by using #ShopSmall on their social media platforms. The City of Riviera Beach has celebrated Small Business Saturday® for a few years, however, the RBCRA has taken on a more targeted approach to feature businesses operating within the CRA boundaries. The CRA Business Watch Committee submitted an application for ten (10) local businesses to utilize the Shop Small Initiative and as a result each business was presented with a Small Business Saturday® marketing kit for their storefront and online presence including posters, promotional flyers, website badges, email templates, logos, social media materials, shopping bags and a welcome mat. Owners can also encourage customers to join the #ShopSmall conversation during #SmallBizSat; this will, in turn, bring more shoppers to their stores. In addition, the RBCRA will market those businesses on the RBCRA website and social media platforms. The CRA Business Watch Committee also hosted a kick-off breakfast on Tuesday, November 14th at the Ambassadors Service Center; catering was done by local Riviera Beach business, Kafe Hub. At the breakfast, new initiatives were discussed to include pop-up shops at the Marina Event Center. Featured Local Small Businesses in the CRA: Kafe Hub, Rafiki Tiki, MTBP Marketing, All Safe, Grator Gator, Pura Divers, Paradise Chic Boutique, Massage Island Day Spa, Get Wet Water Sports, Blue Water Boat Jet Ski Rentals, and Casa Farneti. American Express reports that small business owners generated an estimated $15.4 billion and 112 million people came out to shop on Small Business Saturday® in 2016. 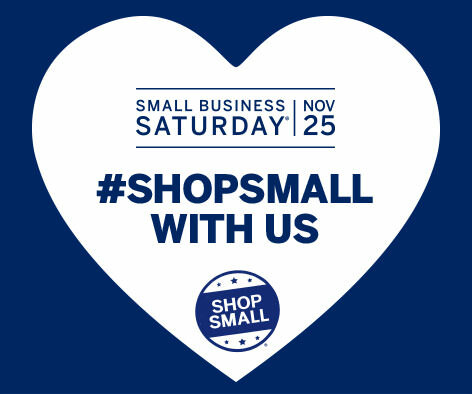 For small business owners who want to learn more about how to participate in Small Business Saturday®, please contact Rod McLeod, Public Safety Officer, RBCRA at (561)-844-3408. The Riviera Beach Community Redevelopment Agency is at the heart of the dramatic transformations underway within its district. Formed in 1984, by the Riviera Beach City Council, the CRA provides funding for a wide scope of projects that incentivize economic growth through business attractions and retention; finances new and improved infrastructure for real estate projects; generally works to expand the tax base by creating a welcoming environment that eliminates blight and improves perception of safety in an area; guides the city’s redevelopment efforts; and creates and supports many programs that enhances daily life in Riviera Beach. The Mosaic Group is a full-service events management, marketing, and public relations firm, which employ experienced specialists to make any event, campaign and community involvement effort successful. Our clients are organizations that are interested in diversification, increasing their visibility in the community and developing mass marketing opportunities.